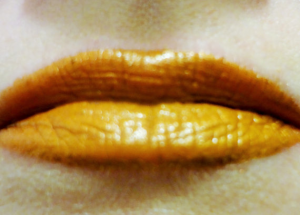 Smug Pumpkin is an adorable, pumpkin-colored orange lipstick that is perfect for Autumn. Many bright orange lipsticks derive their color from aniline dyes, but our formula only uses natural colorants. 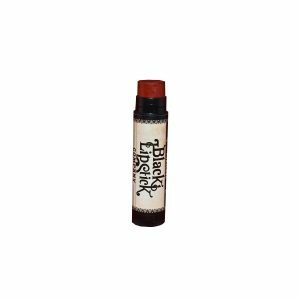 Like all Portland Black Lipstick Company lipsticks, Smug Pumpkin is made with all-natural ingredients and is moisturizing and long-wearing. Ingredients:Sunflower oil, Castor oil, Beeswax, Candelilla wax, Coconut oil, Lanolin, Cocoa butter, Assorted tocopherols/Vit. E, Peppermint essential oil, FDA-approved mineral pigments, Titianium dioxide, and Mica. May contain traces of Carmine. 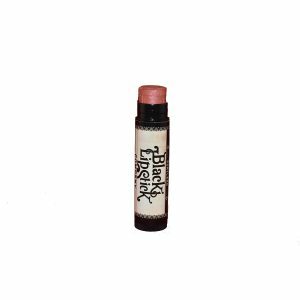 Like all Portland Black Lipstick Company lipsticks, Bitter Orange is made with all-natural ingredients and is moisturizing and long-wearing. For a full list of ingredients, please see the 'Product Overview' section located just below the item price. Like all Portland Black Lipstick Company lipsticks, Bitter Orange is made with all-natural ingredients and is moisturizing and long-wearing. 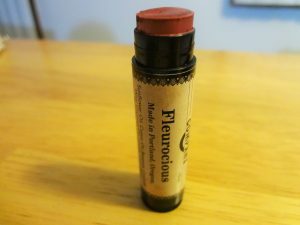 Like all Portland Black Lipstick Company lipsticks, Fleurocious is made with all-natural ingredients and is moisturizing and long-wearing. For a full list of ingredients, please see the 'Product Overview' section located just below the item price. Like all Portland Black Lipstick Company lipsticks, Fleurocious is made with all-natural ingredients and is moisturizing and long-wearing. Ingredients:Sunflower oil, Castor oil, Beeswax, Candelilla wax, Coconut oil, Lanolin, Cocoa butter, Assorted tocopherols/Vit. E, Peppermint essential oil, FDA-approved mineral pigments, Titanium dioxide, Mica. and Carmine. Most bright red lipsticks are made with aniline dyes, which we don't use in our formulas. Imitation Cherry is a beautiful, bright, and balanced red made with only natural coloring agents. The finish is glossy, but matte and the color is highly saturated. Whether you wear a strong application for a dramatic effect, or a light application (which tends to make the color a little brighter and slightly warmer) the color is lovely. Like all Portland Black Lipstick Company lipsticks, Imitation Cherry is made with all-natural ingredients and is moisturizing and long-wearing. Ingredients:Sunflower oil, Castor oil, Beeswax, Candelilla wax, Coconut oil, Lanolin, Cocoa butter, Assorted tocopherols/Vit. E, Peppermint essential oil, FDA-approved mineral pigments, Titianium dioxide, Mica. and Carmine. 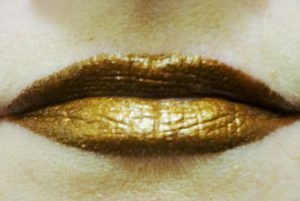 If you are leaving your cavernous lair and require a pretty green lipstick for your above-ground look, Chthonique is the color for you. The color is a medium, somewhat minty green with a slightly grey background and a beautiful metallic finish. Like all Portland Black Lipstick Company lipsticks, Chthonique is made with all-natural ingredients and is moisturizing and long-wearing. Ingredients:Sunflower oil, Castor oil, Beeswax, Candelilla wax, Coconut oil, Lanolin, Cocoa butter, Assorted tocopherols/Vit. E, Peppermint essential oil, FDA-approved mineral pigments, and mica. May contain traces of carmine. A nod to the classic horror movie trope as well as a celebration of artifice generally lie behind the naming of this soft, frosted coral colored lipstick. The coral color is a light pastel and can look a bit more light orange or a bit more pink depending on the person wearing it. The finish is frosted/soft metallic and has good coverage. Like all Portland Black Lipstick Company lipsticks, The Coral is Coming from Inside the House is made with all-natural ingredients and is moisturizing and long-wearing. The finish is matte and quite opaque. The yellow is cheery, though a bit closer to bright yellow mustard than a lemon yellow. No aniline dyes were used in the production of this pretty color!! Like all Portland Black Lipstick Company lipsticks, Good-bye, Little Yellow Bird is made with all-natural ingredients and is moisturizing and long-wearing. Whether you consider it 'pastel black' or 'baby black,' grey is a beautiful color!! Græy Lipstick is a light matte grey that shares the bluish undertones of Pewter Cauldron (our dark grey lipstick.) It is not unlike the color of the springtime skies of Portland, fresh cement, and cuddly plush sharks. Like all Portland Black Lipstick Company lipsticks, Græy is made with all-natural ingredients and is moisturizing and long-wearing. Ingredients:Sunflower oil, Castor oil, Beeswax, Candelilla wax, Coconut oil, Lanolin, Cocoa butter, Assorted tocopherols/Vit. E, Peppermint essential oil, FDA-approved mineral pigments, and occasionally Carmine and/or Mica. Dark Timeline is part of our new Autumn line of dark purples along with Thee Psychic Berry and Black Velvet Cake. It is a very dark purple that looks almost black in low light. Extremely pretty and dark dark dark!! What does every oceanic adventure need? A difficult island! Difficult Island lipstick is a beautiful and vivid aquamarine blue. For those of you familiar with our lipstick palette, this color is a little greener than Cyanosis but much bluer than Chlorosis.